Integrated Sports Media, North America’s leading distributor of International Pay-Per-View and Closed Circuit sporting events, delivered 14 power-packed events this year from around the globe to sports fans in the United States and Canada. 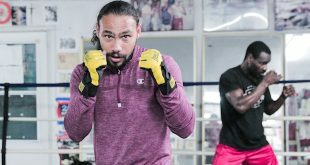 “I am proud that we were able to provide consumers with the opportunity to watch major boxing events, especially one of the Fights of the Year in Giovanni Segura versus Ivan Calderon, that they otherwise would not have been able to view in North America,” Integrated Sports Media President Doug Jacobs said. 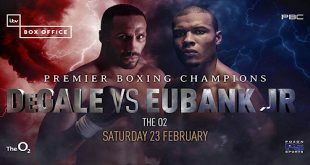 “We also brought fight fans the comeback of the great Erik Morales, world heavyweight champion Vitaly Klitschko, three fights featuring rising star Wilfredo Vazquez Jr., living legend Evander Holyfield, popular Tomasz Adamek, and a unique fight production – two major events from two different countries, Germany and Puerto Rico, in the same day". 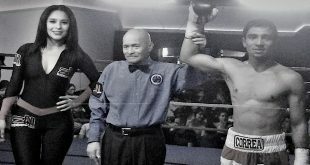 Vazquez, the WBO Junior Featherweight Champion, took on Filipino sensation Marvin Sonsona, whom Vazquez knocked out in the first of three 2010 title defenses this year that were distributed by Integrated Sports. Future Hall of Fame boxer Morales started his comeback March 27 with a win by decision versus Jose Alfaro, while living legend Holyfield continued his quest back to the top of the heavyweight division April 10 by way of an eighth-round stoppage of Frans Botha. Morales’ victory shared the spotlight on “Double Assault” with Chris Henry’s electrifying first-round knockout of former world champion Hugo Hernan Garay that propelled Henry towards the top of the light heavyweight division. If that double-barreled action wasn’t enough for North American boxing fans, Integrated Sports distributed two major events featuring three world title fights from venues halfway around the world. Klitschko successful defended his WBC Heavyweight Championship against a game Albert Sosnowski by 10th round knockout in Germany and later that night in Puerto Rico, Vasquez knocked out No. 1 contender Zsolt Bedak and WBO Super Featherweight Champion Roman Martinez erased Gonzolo Munguia. The highlight of Integrated Sports Media’s 2010 schedule was the WBA Fight of the Year, in which, Giovanni Segura upset Ivan Calderon for the WBA/WBO Light Flyweight Unification title fight by eighth-round technical knockout, in Puerto Rico. Integrated Sports’ final boxing match of 2010 featured former world light heavyweight and cruiserweight titlist, Polish heavyweight contender Tomasz Adamek, who dismantled popular Vinny Maddalone in five rounds. 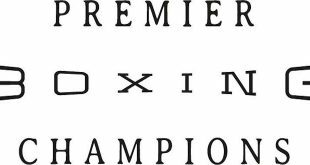 Integrated Sports Media kicks-off its 2011 PPV boxing schedule January 22 with “Redemption In America,” featuring living legend Evander “The Real Deal” Holyfield versus Sherman “Tank” Williams.